Duterte has become infamous and is often internationally critiqued for his controversial language. At the same time, however, he remains popular in the Philippines and not only among his supporters. Naturally, his rhetoric is catering to the domestic audience rather than to the international public. These “jokes” are dangerous, and it is difficult to determine the underlying level of truth. Human rights groups have condemned the statements as inciting people to commit violence. Duterte is no stranger to repressive methods and does not shy away from violence. During his time as mayor of the country’s third most populated municipality Davao City, Duterte encouraged killings of criminals by the so-called Davao Death Squad. Peace talks with the communist militants, one of Asia’s oldest insurgencies, have been on and off for a long period. Duterte, like previous governments, initially talked with the communists but canceled negotiations last year over deadly attacks against soldiers and police. In June the then-presidential peace advisor Jesus Dureza said that the government was not ready to resume talks. Dureza has recently resigned from the Office of the Presidential Advisor on the Peace Process (OPAPP) after a corruption scandal that saw an undersecretary and an assistant secretary fired. Duterte replaced Dureza with Carlito Galvez Jr., the former Armed Forces of the Philippines (AFP) chief of staff. This is another blow to the peace process: Dureza was experienced, well-respected in both camps, and instrumental in keeping the talks happening through back-channel negotiations. 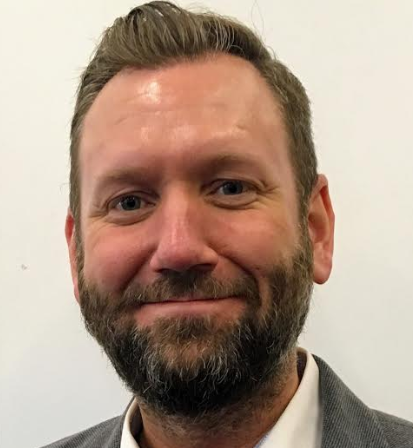 With the appointment of a military man for this post – who just recommended the president to extend martial law and brings with him the baggage of actively taking part in fighting – there is a risk that OPAPP becomes militarized. End November Duterte announced his plans to create a “death squad” targeting suspected communist rebels. Such a plan will lead to more violence, despair, resentment, and further grievances. 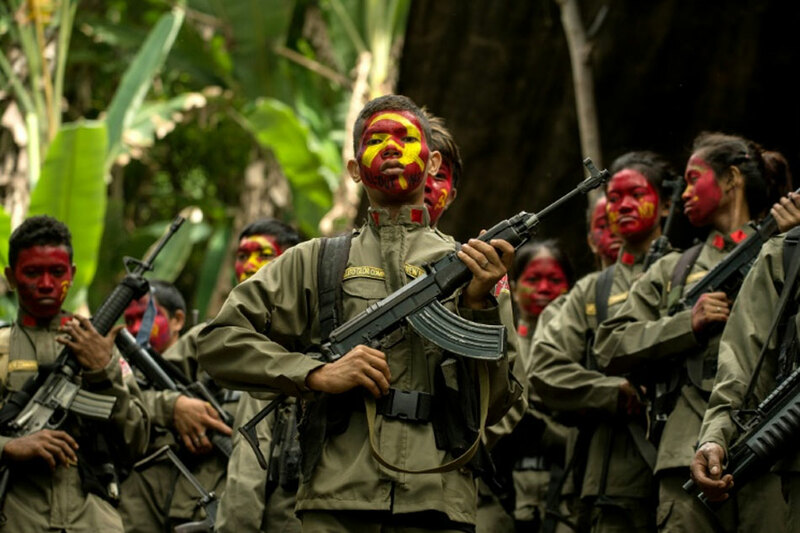 Additionally, since negotiations with the rebels broke down, the Communist Party of the Philippines and its 3,800-member armed wing the New People’s Army (NPA) were re-designated as terrorist organizations. Fighting violence with violence is rarely efficient and indicates that there is no willingness to resume the peace talks. Several presidents before Duterte have attempted the all-out war tactics against both the NPA and Muslim insurgents. None of them were successful. Furthermore, the plan of a death squad alongside martial law and recent memorandum to suppress and prevent lawless violence will worsen the situation in the ongoing human rights disaster that is the war on drugs. These measures do little to nothing about poverty, injustice, and marginalization – the root causes of the problems facing the Philippines. At the same time, many of the original grievances – U.S. imperialism, bureaucratic capitalism and feudalism, and the ideological (Maoist) roots to the conflict – have been obscured after 50 years of insurgency. 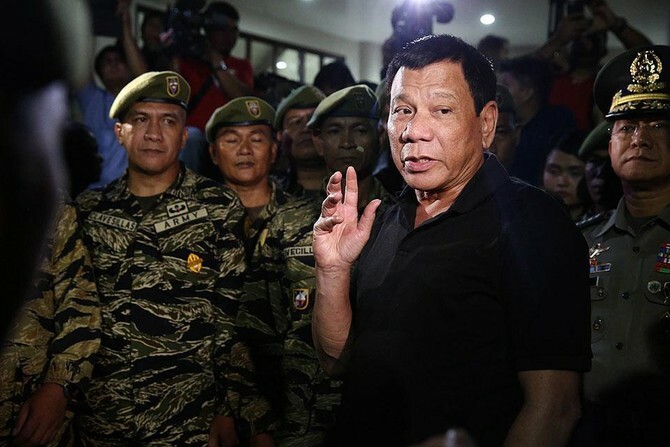 Last week, the Philippine Congress approved Duterte’s request for an extension of martial law on the country’s second largest island Mindanao until the end of next year. This extension is the third since the initial 60 days from May last year, when Duterte declared martial law because of the Marawi City Siege to defeat the self-proclaimed ISIS-affiliated Maute Group. Another year-long extension does not indicate willingness or openness to peace talks. The initial justification for declaring martial law was to prevent supporters of ISIS from carving out a caliphate in the Philippines, but it was also used to suppress the militant wing of the communist party. The government is sending out mixed messages about the effects. On the one hand, martial law has contributed to improvements in security, peace, and order on the island which has, according to Duterte, led to “remarkable economic gains in Mindanao.” On the other hand, however, it is clearly not sufficient as the government’s need to “suppress lawless violence and acts of terror” remains. Is this a prelude to nationwide martial law and authoritarianism? Well, unlikely but possible. One can easily draw parallels to the time of Ferdinand Marcos’ presidency and the time leading up to his declaration of martial law in 1972. That time Marcos grossly exaggerated the threat of a “rightist-leftist” plot while staging attacks and blaming the communists. The current situation does not warrant martial law as nothing is demonstrating that actual uprising or rebellion is ongoing in Mindanao. 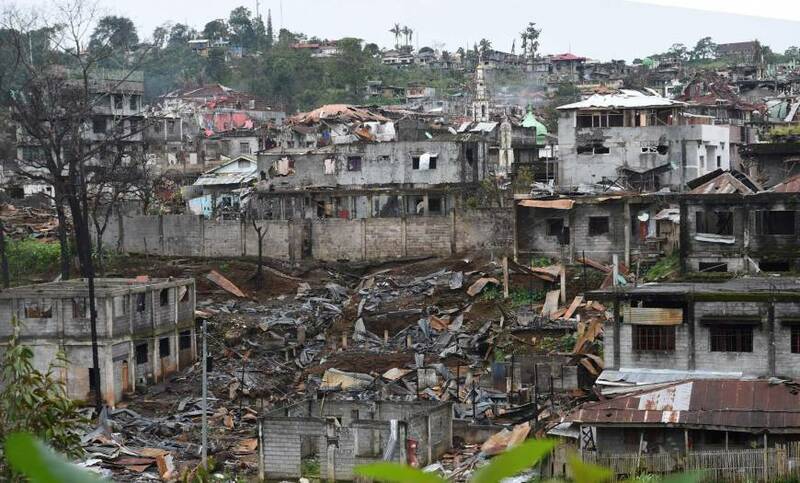 The Marawi City Siege was declared over on October 17 last year, but reports of further radicalization of Muslims and influx of “foreign terrorists” have been persistent and are used as a justification for continued martial law. At the same time, we have to recognize that the 1987 Constitution has checks and balances in place to prevent a situation similar to 1972 from occurring. That being said, a major incident or terrorist attack taking place outside of Mindanao, for example in Metro Manila, would be cause for expanding the martial law. Recently issued memoranda and executive orders, alongside language stating that the nation is under threat, would make such a declaration swift and easy. Add the current climate of ostensible clamping down on press freedom to this, as well as threatening and silencing opposition politicians and clergy, and efforts to impeach the Chief Justice. These factors are further complicating and are affecting the roadmap to peace in the Philippines, and then I have not even mentioned the upcoming referendum on the Bangsamoro Organic Law. This ongoing situation most likely means that there will not be an end to Asia’s longest-running insurgency under the Duterte administration. There is cause for concern about the state of affairs in the Philippines, with or without death squads.